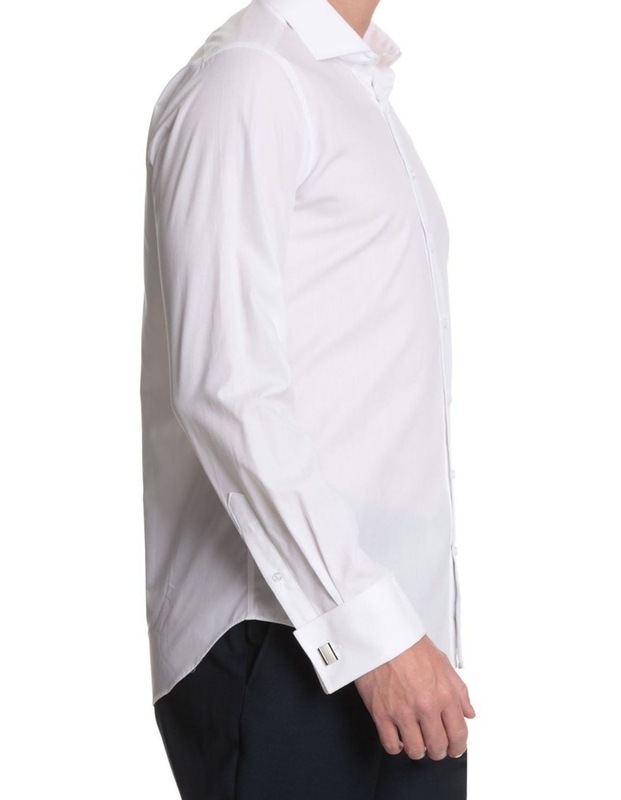 K321200272. 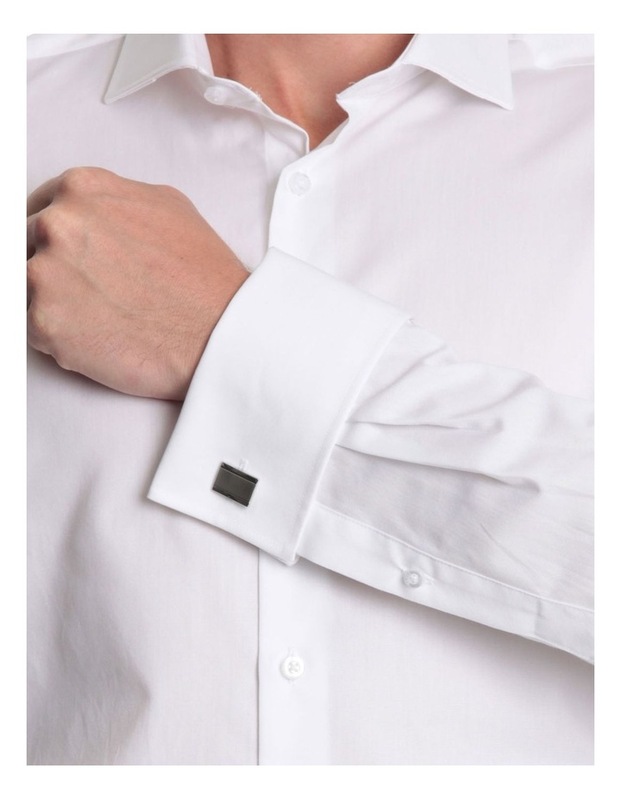 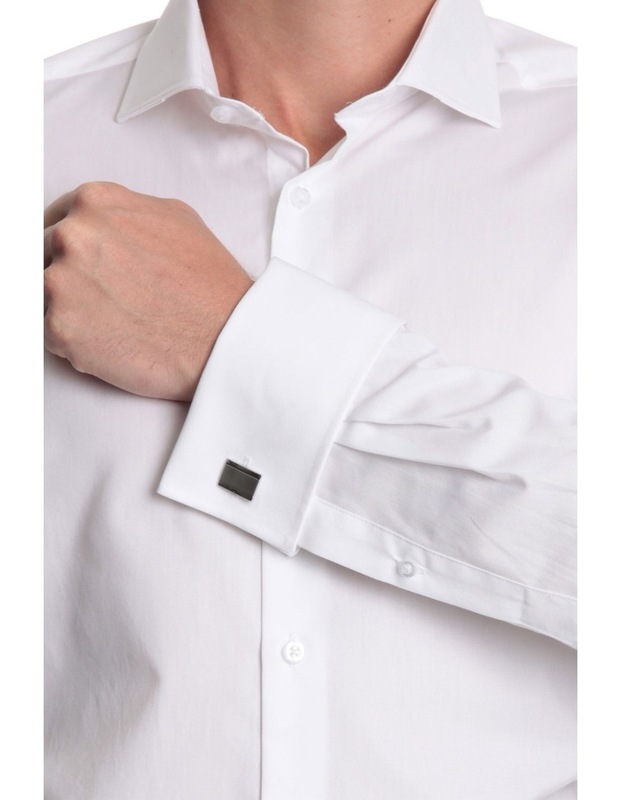 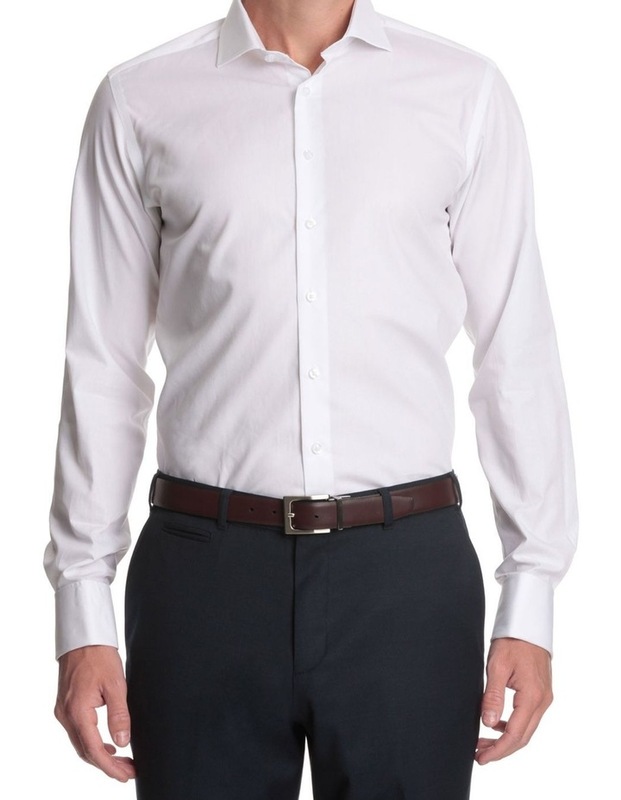 This Jeff Banks business shirt features a French cuff, to be used with your favorite pair of cufflinks and a full cutaway collar suitable for larger tie knots such as the Windsor. 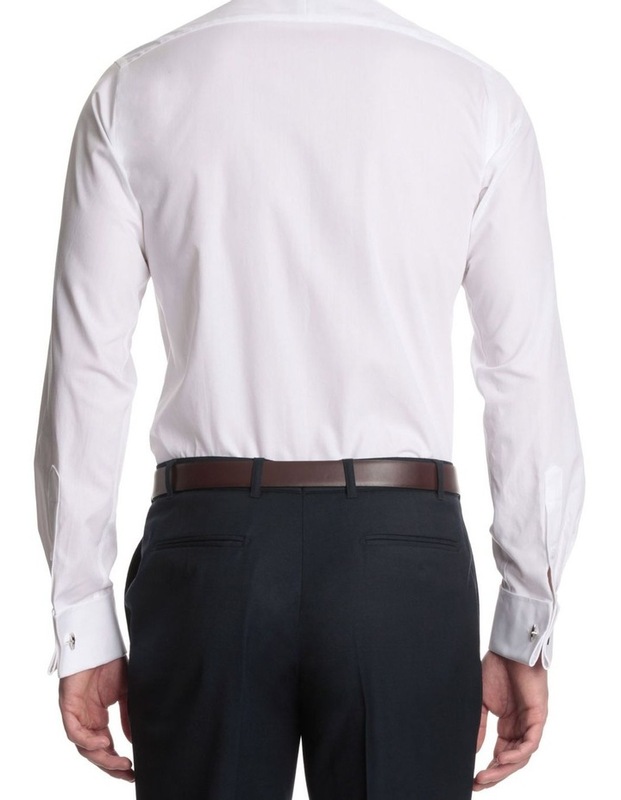 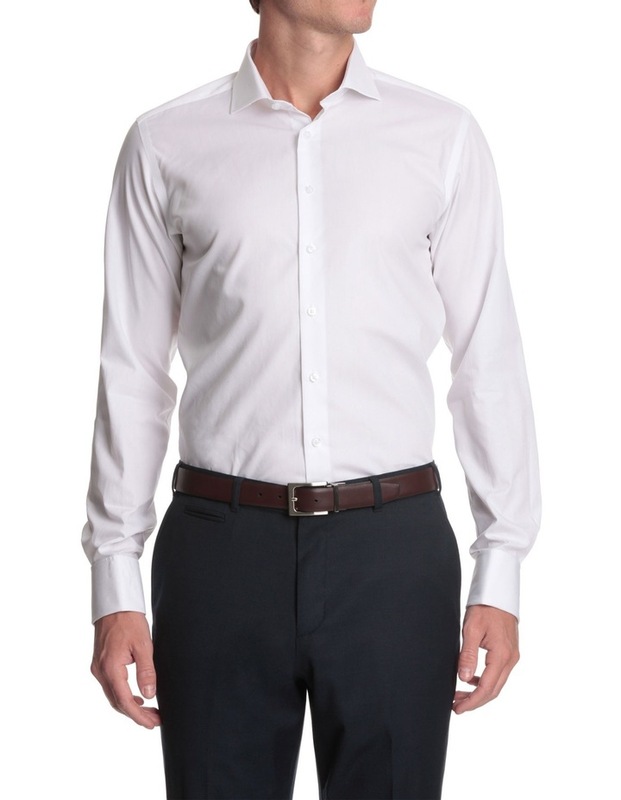 It is cut to a slim fit for a sleek fitted silhouette with no lapel pocket and front line placket. 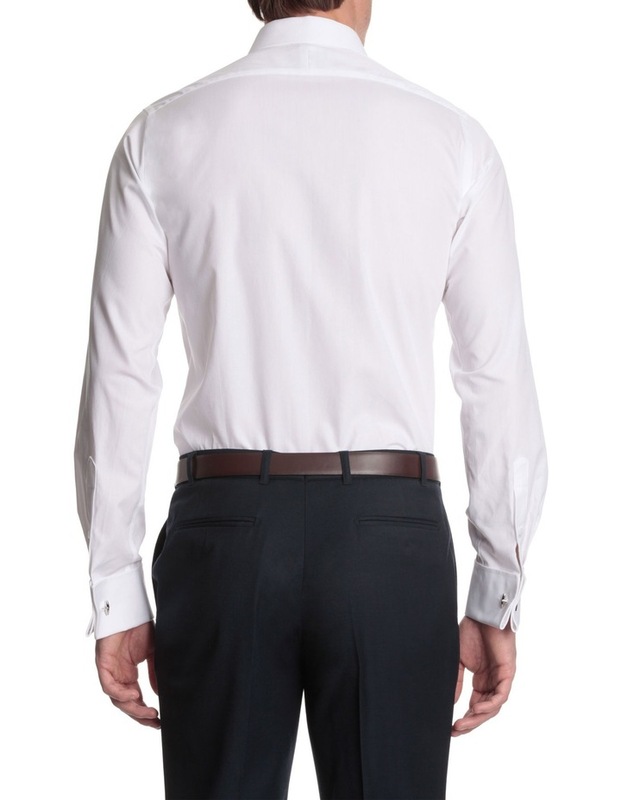 Fabrication is comprised of 100% cotton. 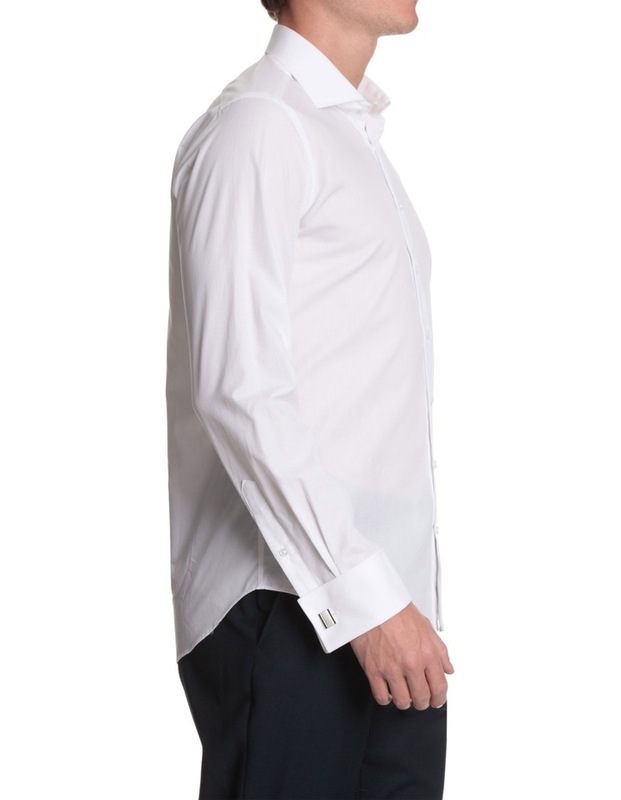 A modern shirt with classic style, for when you need to make a lasting impression.